MVP: Free Pokemon Go For Smart and TNT Subscribers! 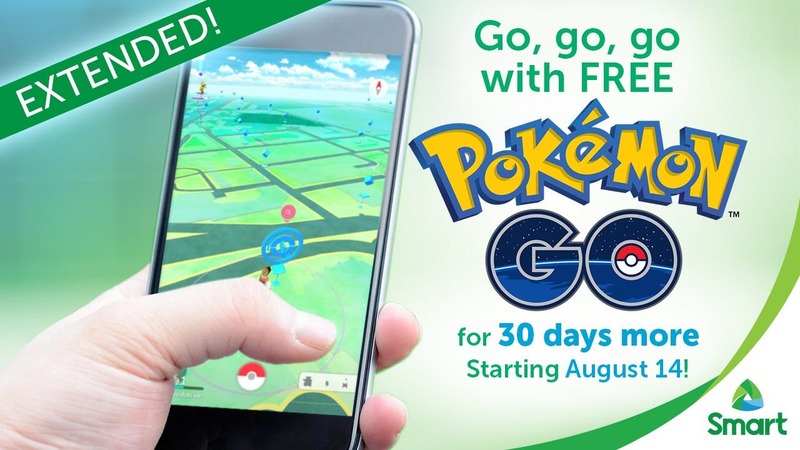 Now, Smart and TNT subscribers can enjoy Pokemon Go as Manny V. Pangilinan, the chairman of PLDT, is offering the game for free from August 14 to September 15. The catch? Only rare Pokemon because there is no catch to the deal. You asked, we listened. We’ll bring back FREE Pokémon GO for all Smart and TNT subscribers from Aug 14-Sept 15. No catch, no fine print! Pokemon Go started as an April Fool’s joke between Nintendo, The Pokemon Company, and Google in 2014. It was officially announced in 2015, and was launched in July this year. Like the first Pokemon games played on the Gameboy, users (called trainers) locate, capture, train, and battle Pokemon. Unlike previous iterations, Pokemon Go relied on GPS, encouraging people to go outside to use the game. It was praised for this reason, but was also criticized for the number of accidents and the nuisance it has created in locations. Let’s Get Those Pokemon Go Eggs Hatching with This Steps Guide! And don’t forget: always be alert and keep safe as you play! Who’s your favorite Pokemon? Share it below!